Born and raised in North East Ohio, J.R. is our Director of Operations. He learned from the best because his family owned and operated a construction business in Canton. 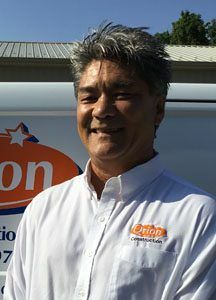 After 11 years in residential construction, JR decided to venture into commercial construction and has worked on many projects in the area. He managed, from start to finish, the Cleveland Clinic Heart Center, Rainbow Babies, Case Western Reserve, and many more. JR has been in the construction industry for 36 years. He has a Construction Management degree from Miami of Ohio and is OHSA and MDSA certified. He currently lives in Green with his wife and four daughters.